Thanks, LiquidMEX DISCLAIMER:!! !This is not to be considered financial advice is my personal opinion, always do your own research before entering or exiting trades as i will not be held liable for any of your trades!!! Make sure to LIKE and FOLLOW for daily updated!!! 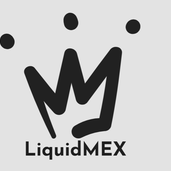 Thanks, LiquidMEX DISCLAIMER:!! !This is not to be considered financial advice is my personal opinion, always do your own research before entering or exiting trades as i will not be held liable for any of your trades!!! Make sure to LIKE and FOLLOW if my content provides you value! Thanks Thanks, LiquidMEX DISCLAIMER:!! !This is not to be considered financial advice is my personal opinion, always do your own research before entering or exiting trades as i will not be held liable for any of your trades!!! (100%PP) Mid/Long term analysis on QuarkChain "QKCBTC"
What's going on everyone!?! Make sure to Like and Follow to receive daily analysis on your favorite altcoins!!! Thanks, LiquidMEX DISCLAIMER:!! !This is not to be considered financial advice is my personal opinion, always do your own research before entering or exiting trades as i will not be held liable for any of your trades!!! 83% profit potential FETBTC easy trade easy profit!